What is Pure Leverage About? -Learn How MLM Conquers All. 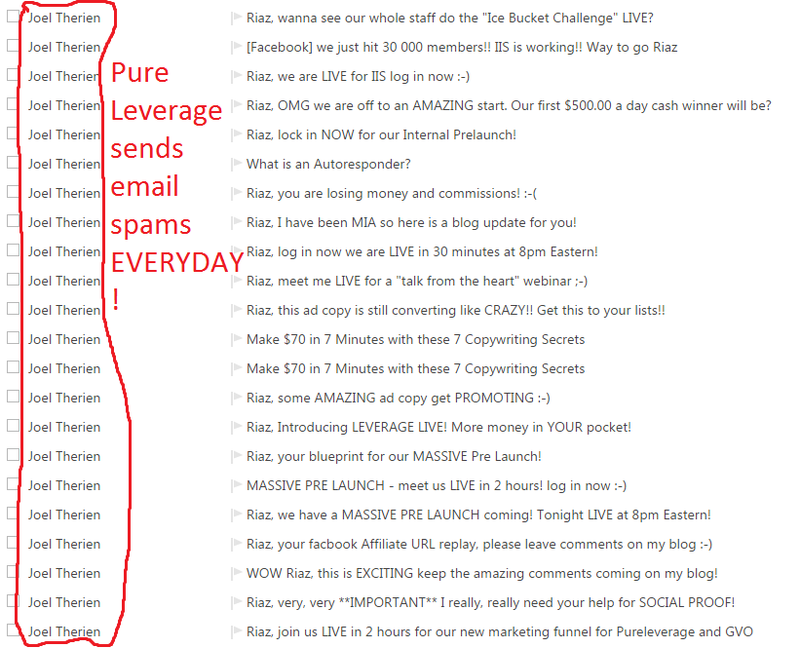 Pure Leverage was my first ever auto responder that I used because compared to other auto responder companies, their price is the cheapest of only $24.95 a month (Average price is usually around $50 per month). 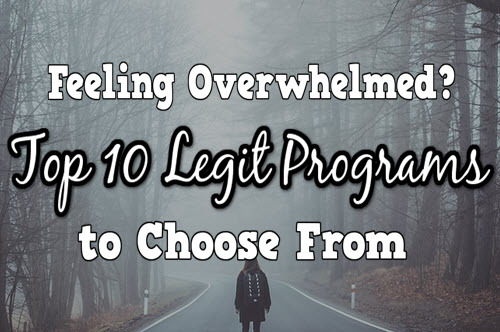 I stayed with Pure Leverage for 3 months as I was on a tight budget and I wanted an affordable auto responder but in the end, I couldn’t take the bad service so I cancelled my membership and opted for other auto responders instead. Despite the cheap price, I know first-hand that Pure Leverage isn’t all that it seems so do bear with me as I vent out my anger by making this full review. If you’re into the business line, have you ever felt like finding a shorter way to email thousands of your customers or subscribers all at once? Well that’s what Pure Leverage is about, it’s an auto responder which allows you to write professional emails and send it to as many people as you want with a click of a button. However unlike other legitimate auto responder companies such as Aweber and GetResponse, Pure Leverage is actually an MLM pyramid scheme which uses its auto responder service as the MLM product to sell. When a company is affiliated with an MLM scheme, we should know firsthand that something should definitely smell fishy. This is because of all the scams that I have come across, I learned that MLM companies do NOT care about what customers think or feel, they actually focus more on raking more money for themselves. The website they give you is an EXACT copy of their www.PureLeverage.com website meaning that you have an MLM site. 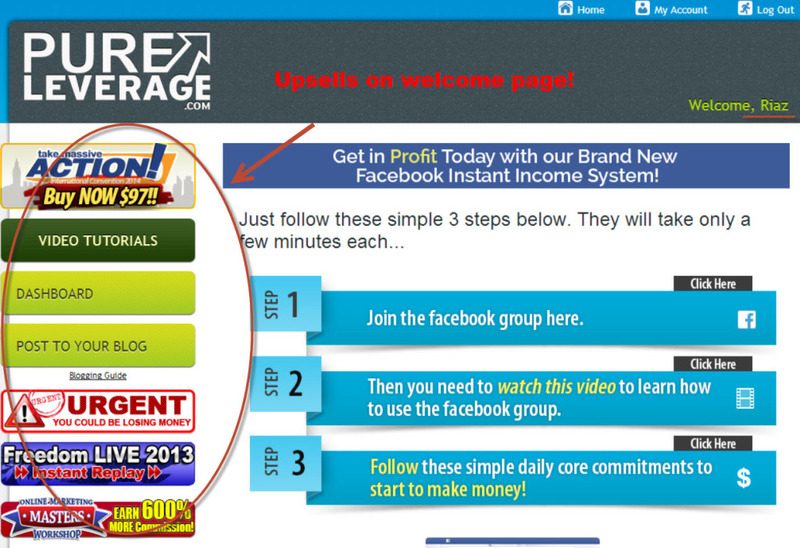 Your Pure Leverage account will be FILLED with upsells that you will be seeing every time you log in. Even when you are a member, they will still email you at least 2 emails day asking you to buy their upsell. MLM is not for Newbies, it’s for rough people with thick skin because the industry is under full hatred from many. 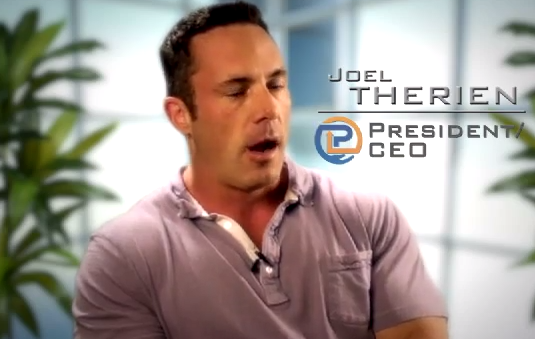 The overly muscular Joel Therien is the founder of Pure Leverage. He is also one of the most powerful Multi-Level Marketing out there because he implements the pyramid scheme on all of this companies. Besides Pure Leverage, Joel also owns GVO (Global Business Opportunity) which is a webhosting company as well as 7 Minute Workout program and both of them have MLM elements inside. 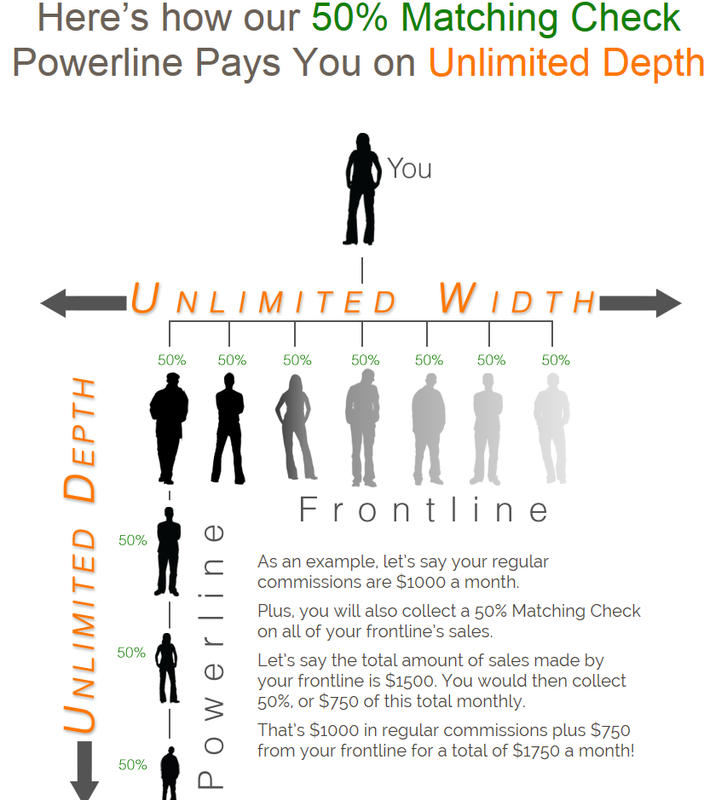 Every MLM company must have a compensation plan because that is the way people get commissions. 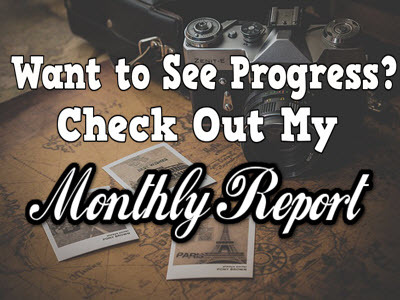 For the first month, you’ll get a 100% commission if you manage to get people into Pure Leverage, and on the second month onward, your commission will reduce to 50%. Looking for a Way to Make an Honest Living by Creating a Real Business Online? Click Here! As an MLM pyramid company, the tools and training aren’t actually aimed at helping you excel in your work or business, they are actually more focused on getting you to do well in MLM and show how easy it is which of course, is not even true. Pure Leverage did not reply me for 3 WHOLE MONTHS! I was okay when they did huge upsells on my account every single day, I was okay with the 50 spam emails that they sent me every month, I was okay with the limited number of people I can email, but when it comes to support that really ticked me off! Besides the product, support is one of the most if not the most important aspect of a company. I mean how would you feel if you buy a car but the moment you want to ask for help from the same company that you bought the car from, they didn’t reply ANY of your requests? An AWFUL customer support is the embodiment of a scam and honestly of all the scams I have tried and reviewed, Pure Leverage is the worst because none of my support tickets were even replied. 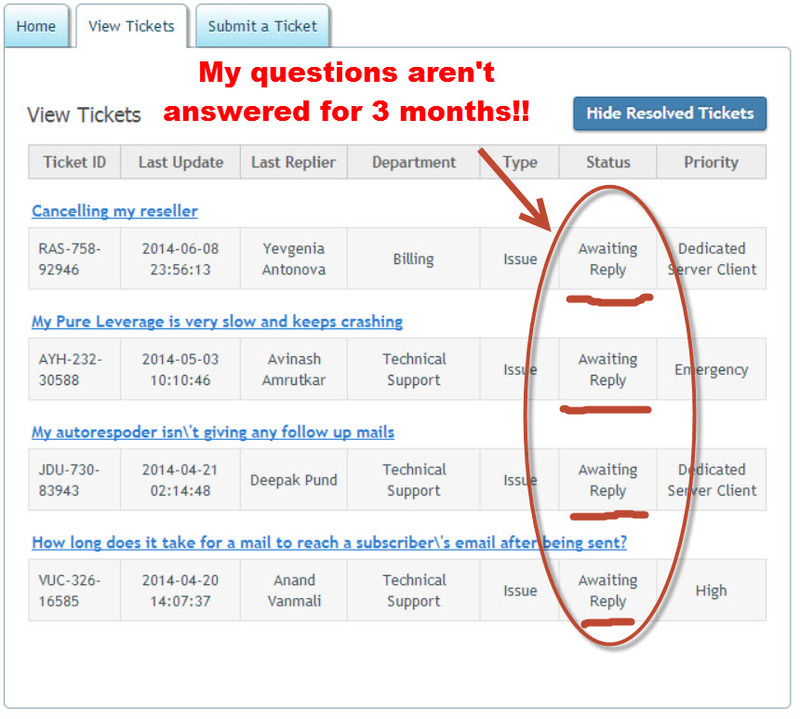 When I wanted to cancel my membership and sent one more ticket, they still didn’t even reply me! In the end I had to cancel my automatic monthly payment manually from my end through Paypal. What kind of reply was that? With no sorries or solutions or those “We are sad to see you leave” quotes to make customers come back. So you see now that an MLM company will only think of getting money from you instead of actually helping you as in my case, they only replied me when I stopped paying them money. Want a Program With an Active Community Which You Could Learn and Get Help Easily? Find Out More Here! I’m sure they’ll promote everywhere that their price is only $24.95 because it’s even on their home page. DON’T be tricked by this because there are actually more than just that one $24.95 price! And that doesn’t stop there because even on your member’s page Pure Leverage will still up-sell to you their new events which are NOT even free for members which after some time will get really annoying seeing that you have to be advertised every time you log in! So with all those MLM scheme benefits, you actually need to pay for another $19.95 JUST to get a right to sell? Why do you have to pay in order to sell? There is a more ethical way to making money by selling other people’s products and getting a commission from it WITHOUT you having to pay anything in order to sell and that is called Affiliate Marketing. I mean although you are getting commission, you are actually doing the owner a favour by helping him sell so why charge you for it when we are helping you to sell, right? Learn How to Become a Pro Affiliate Marketer Here! When it comes to online business programs, Wealthy Affiliate is until now the best program out there which I have reviewed and definitely better than that of Pure Leverage. Pure Leverage’s way of helping you grow an online business is by bringing you into the World of MLM which means that your profit comes from the people that you trick into joining and although you do make money from there, it is very unethical and your guilt will soon consume you. Wealthy Affiliate on the other hand, helps you grow your online business through the safest way possible, which is by guiding you and giving you all the tools needed to create a fully functional website of your own and monetizing. I know most people will hate me for saying this but MLM is actually not a scam because people do get paid and the system is clear. However for hiding the real product price from the eyes of the public, for the constant email spams being sent to your email per day, and for the lack of support, Pure Leverage is considered a SCAM and therefore receives a rating of 50 out of 100. If you’re interested in finding a long-term online business course with an active community, do check out my #1 recommended program here. Thanks a lot for reading my review, if you have any feedback whatsoever that you’d like to share regarding Pure Leverage, do comment below as I’ll be more than happy to reply! 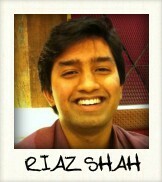 Hey Riaz, Thank you for sharing your experience with Pure Leverage. It’s clearly not a legitimate and honest way to make a living. I know not to keep wasting my time with them. Hello Crisaly, thanks for your feedback! Pure Leverage is a waste of time as there are always better choices to choose from with better service and more affordable price. have a lovely day! I was not familiar with Pure leverage before reading your review and it does not seem like a legitimate business. Glad I read your review before coming across it. I might have wasted my time and money joining there. I also don’t understand why you have to pay again in order to sell it. And this doesn’t look cheap. Aweber goes for something like $19 a month. 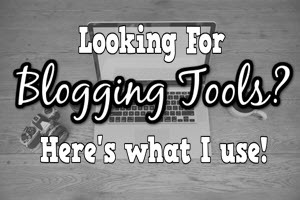 I use mailchimp and it’s free for 2000 subscribers. Thanks for putting this up. Enjoyed reading. I totally agree with you Norbert, there are always better auto responders out there than pure leverage, im using Aweber and Get response for now but haven’t been able to try out Mail chimp yet though. Looking forward to try it out a few months time. Thanks for taking time to read my review, Norbert have a lovely day! 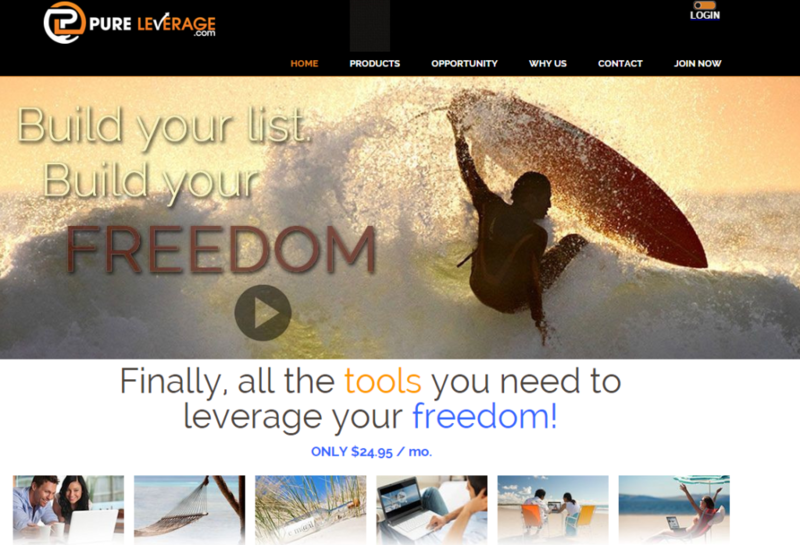 Thank you for sharing this information regarding Pure Leverage. You have probably stopped a lot of people from wasting their money on this scam. Your welcome Deidre, i wouldn’t want more others to get scammed as I did and I’m hoping there are many others who are doing their parts to keep the World a better place. Thanks for dropping by! Thanks for the informative review, I have read another review of Pure Leverage before but I like most the one that you write. I think if a MLM is a scam or not it depend in how the owner do business with the people. So not all of them are bad. Thank you Francisca, that’s totally true what you said about MLM. It’s not a scam, it’s a method. But how people go about using that as an excuse to beef up their products like Pure Leverage is what makes it a scam. Thanks for dropping by! I actually gave into this last year and I can tell you that it is not cheap! You DO NOT need to spend that much money to make money online and I’m tired of these gurus trying to take your money. Thanks for helping to weed things like this off the internet! Anytime John! I too, joined Pure Leverage and it is totally a waste of money. they are only concerned to take your money away from you and they don’t care if their service is compromised. Thanks for dropping by John!